Starting in 1893, at the age of 14 as a draftsman for the Diamond Match Company of Barberton, James Weaver eventually founded his own match company. In the years 1906 to 1907, he designed and built the first cut, set and dip, white pine round stick match machine for the Ohio Match Company. By 1919, at age 40, Mr. Weaver was vice president and general manager of the Ohio Match Company, Ohio Salt Company and Ohio Boxboard Company. 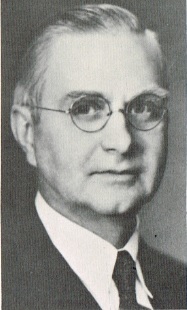 In the years 1919 to 1923, he helped organize and became president of the Cleveland Match Company. Following that, during the next 14 years he was vice president and general manager of the Federal Match Corporation, assistant to the president of B.F.D. Corporation representing the American Match Industry in Washington D.C., and consultant to the American Match Industry. In 1938 he founded and became the first president of the Columbia Match Company in Mentor, Ohio. 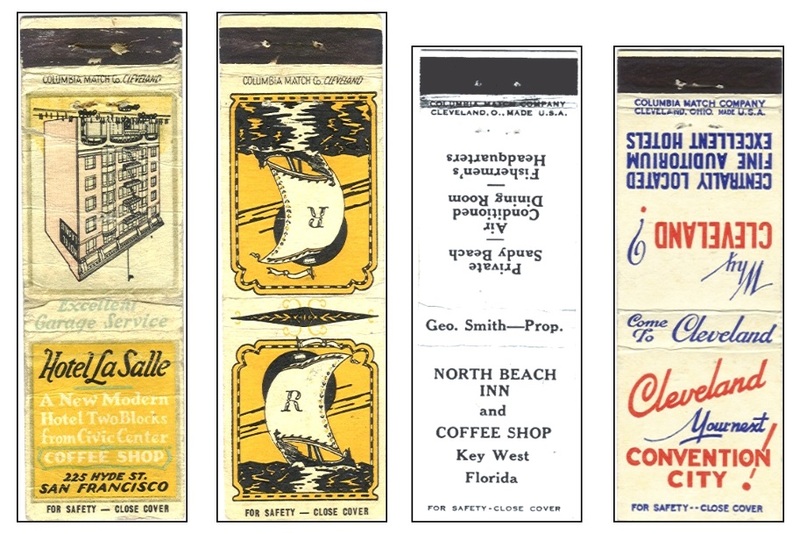 Since 1946 Mr. Weaver has been a consultant to the American Match Industry and chairman of the board of Columbia Match Company, manufacturers of book matches and match machinery used throughout the world. Biographical update: James Herman Weaver passed away on September 11, 1968. He was preceded in death by his spouse, the former Mary Leona Hawkins Shilling, who was born in Plain Township east of Alliance and who also passed away on September 11, but in 1965. They are buried together in Woodlawn Cemetery in Wadsworth, Ohio. They were survived by two sons who have since passed away: James H. Weaver Jr. (Jan. 1, 1910 – May 18, 2000) and Carl E. Weaver (Dec. 25, 1914 – Nov. 6, 1999). We have been unable to locate any records of grandchildren. The three figures below were Patent No. US904394 issued on Nov. 17, 1908 to Edwin J. Young and James H. Weaver of the Ohio Match Co. for their new machine for packing matches.